If you look up the Hebrew word for delight here you find it means joy or extreme gladness. Its root is found in the verb “samach” which means: to give joy or make happy. So do you catch what that means? Basically, you give someone great pleasure. Just by being you, you make someone happy. All too often we hear about our shortcomings. Whether it’s from people around us, social media, or our own voices, we can find ourselves listening to a running dialogue in our minds about how we are not enough. Not only do we feel we don’t measure up or bring happiness to anyone, but we start to lose our own joy in the process. Our worth doesn’t seem to amount to much. We blend in to our surroundings. But picture this. You’re at karaoke night with friends, and this amazing man picks up the mic and starts singing about you. To you. A love song written just for you about how beautiful you are. How you completely delight him. How his love is centered on you. Corny? Yeah, maybe a little. Yet what woman wouldn’t want a love song written just for her? Well, that’s exactly what this verse is saying. Christ only has eyes for you. 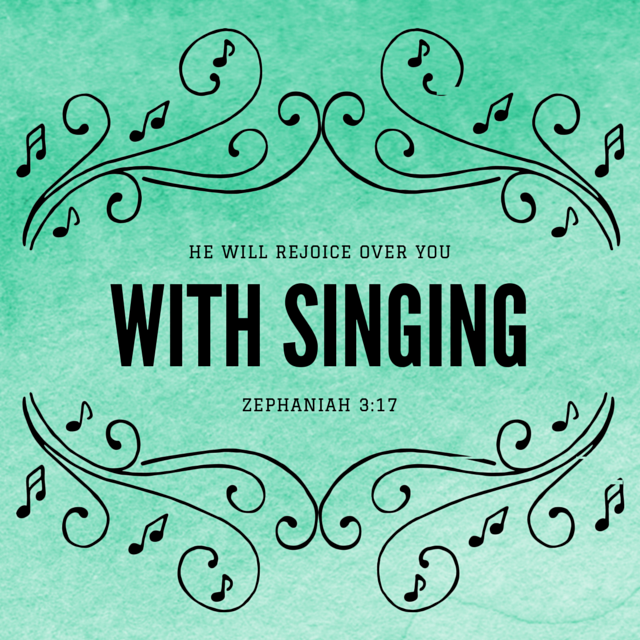 Not only that, but you bring him such delight he cannot help but burst into song. He cannot contain his love for you. 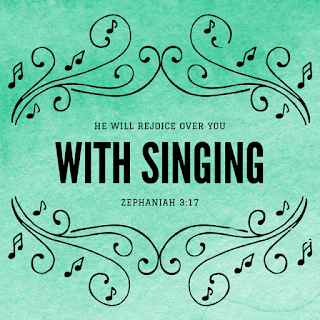 Nothing you’ve done can stop his love song. Nothing you’ve done can inspire it. It’s simply there because he created you and fell madly in love with you in the process. You are worth enough for him to die for, and still sing a beautiful love song to simply because you delight him just by being you. Lord, today help me to see that I am more than enough for you. Open my eyes to notice how much you love me and find joy in me. Open my ears so I can hear your love song to me. Quiet all my doubts and fears with your love, and let your melody become the song that replays in my mind. Amen. His love is amazing, and I'm humbled when I stop to think about it. I tripped over the word "enough." Stopped reading, went back to the beginning and started all over again -- because that's the lie that's hindering me right now: Am I enough? Will I ever be enough? And then your blog post presents the answer so beautifully, Susan. :) I wonder that often too, Beth. I think I go in a cycles. That's why I need the Truth in me, to speak back to those thoughts because we ARE enough. His love is so amazing.